Transition Networks industrial, ruggedised, high temperature communications products are now available from Alberfield. Transition Networks products are manufactured in the USA and are ISO 9001: 2008 Quality System Certified. Transition Networks products are available for purchase in single or volume quantities (bulk discounts available). Simply let us know your requirements and we will get back to you directly with a quote. Alternatively, if you are uncertain of your requirements, we can tailor a Transition Networks solution to suit your needs. 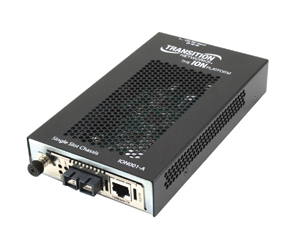 Products available include Media Converters, Power Over Ethernet, Industrial Switches and more. See our Transition Networks page for the full range of products.